One of Henderson County Sheriff Botie Hillhouse’s Deputies stopped a driver in the wee hours of the morning Thursday and arrested the Mabank man for possession of methamphetamines and driving without a license. Thomas Paul Harrington, 35, was driving in the Cherokee Shores Subdivision just after 2 a.m. when he committed a traffic violation. Deputy Jonathan Daille pulled the suspect over in the driveway of a home which was not his residence. While dispatch reported he was not wanted on any warrants, he was driving without a license. Inside the vehicle, a syringe commonly used to inject meth was in plain view of the Deputy. A subsequent search revealed two clear, small Ziplock-style baggies containing a crystal substance believed to be contraband. 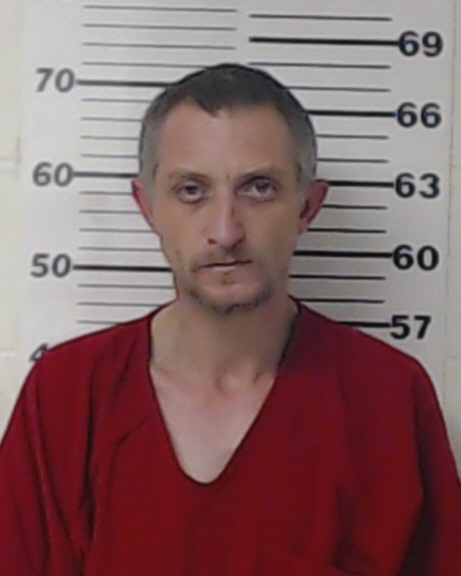 Harrington’s vehicle was impounded, and he was taken to the Henderson County Jail where he faces charges for possession of the controlled substance and driving without a license.